From regular maintenance to major repairs, we can help with all your air conditioning needs. No homeowner wants to deal with a malfunctioning air conditioning unit, especially on a hot summer day. Unfortunately, all AC systems will eventually break down over time and lose effectiveness. If you're having a problem with your home's air conditioning system, the local experts at Precision Air can help. We provide fast, effective air conditioning repair services for all types of AC systems. Our trained professionals know how to correctly diagnose your problem and provide you with the right repair services to get your system running correctly. 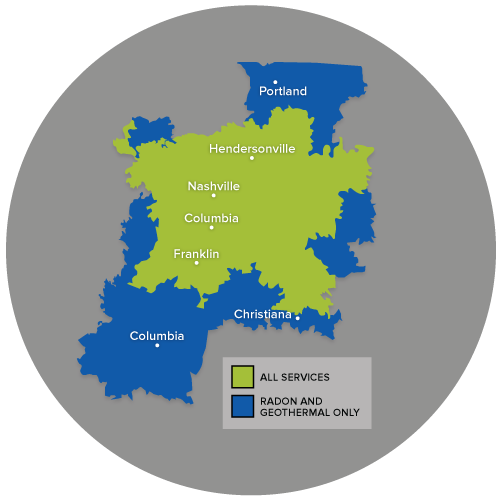 If you need AC repair for your home, call us today at 1-844-386-0719 or click below to get started with a free estimate in Nashville, Franklin, Murfreesboro and the nearby areas! Precision Air has an experienced team of licensed and certified technicians to perform all repairs on your air conditioning system. Ignoring any problems with your system and not performing necessary air conditioning maintenance can cost you more money in the long run, shorten the lifespan of your cooling system, and can mean having to replace your system sooner. Don't ignore the signs of an air conditioning problem. Call us today at 1-844-386-0719 or contact us online to get the air conditioning services you need to keep your home comfortable and your system running efficiently. We offer free estimates in Nashville, Franklin, Murfreesboro, Antioch, Hendersonville, Brentwood, Smyrna, Lascassas, Madison, Hermitage and throughout the surrounding areas.